Fishing in a rotation is not something most American fly fishers are accustomed to doing. When we show up to a trout stream, many of us park ourselves in front of a reliable lie and fish it until we find the right fly and presentation with which to fool trout. When fishing for a non-feeding fish such as an Atlantic salmon, unless there is a big run of fish moving at the moment, it doesn't pay to stay in one place for too long. Completely covering a pool or run provides the angler a chance to present his or her fly to every fish within casting range. Instead of searching for the right fly for one specific fish, we're searching for the right fish...one who either feels aggressive enough to take a fly at that particular time, or one who shows enough interest to warrant "working" it. That fish might not be in our favorite lie. It might not even be a fish who showed itself a short distance from us before we began casting. If we keep show our fly to as many fish as possible, however, we stand a better chance of finding one who is interested. There are very few things more annoying than fishing wet flies downstream only to have an angler enter the run downstream from you. Equally annoying is having someone impede your forward progress by parking themselves in one spot of the pool. A lesser evil (though still annoying) is the angler who does not move downstream quickly enough, thereby holding up one or more anglers fishing upstream from him. Just because an angler is the first person to cover a good lie doesn't mean that he or she will hook a fish. I was fourth or fifth in line in the picture above. None of us hooked anything. An angler two places behind me caught a grilse on the same fly most of us were using at the time. We all covered the same water, but he was the one who caught a fish. I've been that guy as well. We all have (or will) at some point. Unless you're fishing behind a real hotshot angler, there's no reason to fret about being the next in line, and even then anything can happen. Please give these pages a read. 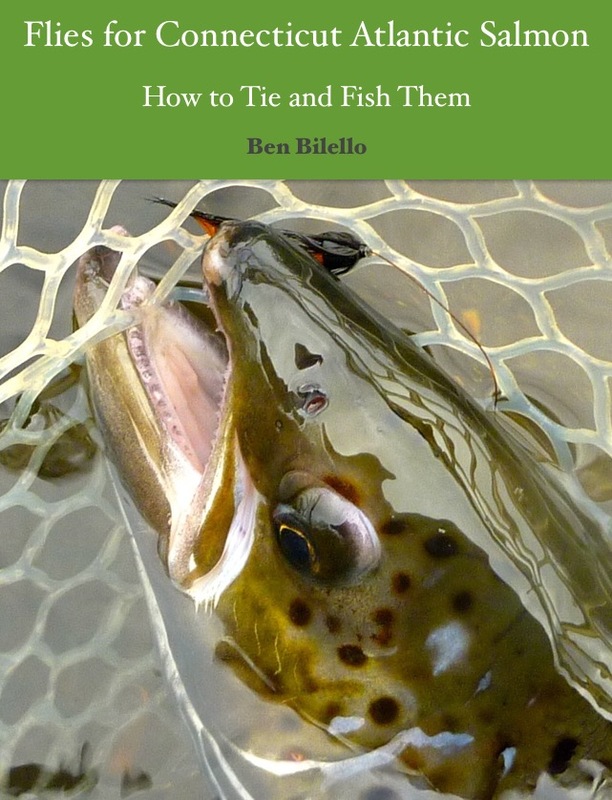 Try to remember their lessons the next time you're on a river and you see another angler working downstream through a fishy-looking piece of water. Many of us fish to enjoy a brief respite from the craziness of modern civilization. The last thing we need is to feel like we were followed to the river by the clown who cut the line at the deli counter!